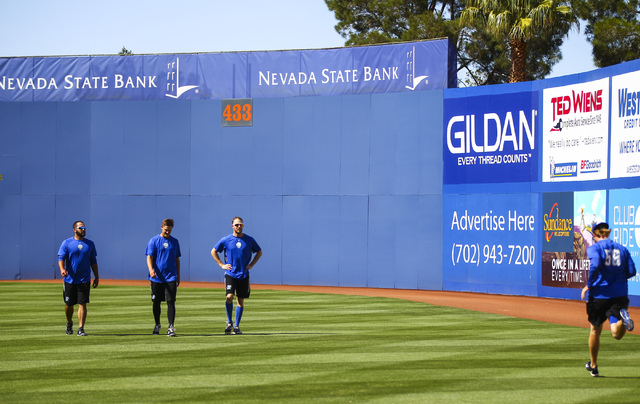 This marks the first time the Las Vegas Triple-A team has featured two local products in the same season. 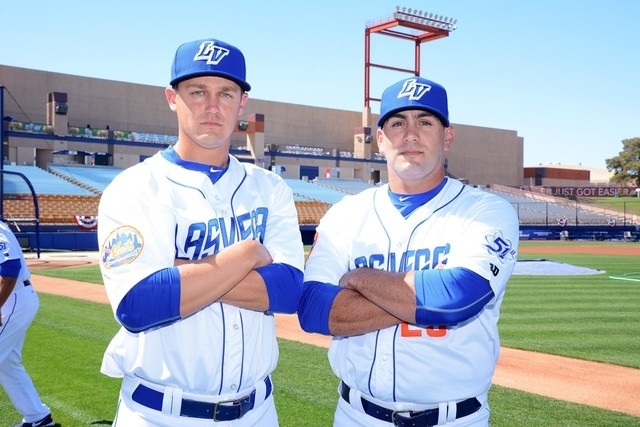 Paul Sewald went to Bishop Gorman, and Chasen Bradford attended Silverado. RHP Paul Sewald (L) from Bishop Gorman high School and RHP Chasen Bradford (R) from Silverado High School. (Photo by Steve Spatafore). Paul Sewald put it best, because he seems to put most things best, because you would struggle discovering a better interview at any level of professional sports. If those he listed are the standard by which local prospects are now judged, it presents a fairly sizable mountain for others being evaluated to scale. But beyond a reigning National League Most Valuable Player (Harper) and Rookie of the Year (Bryant) exists a pool of names that has or could soon join those stars in the big leagues. 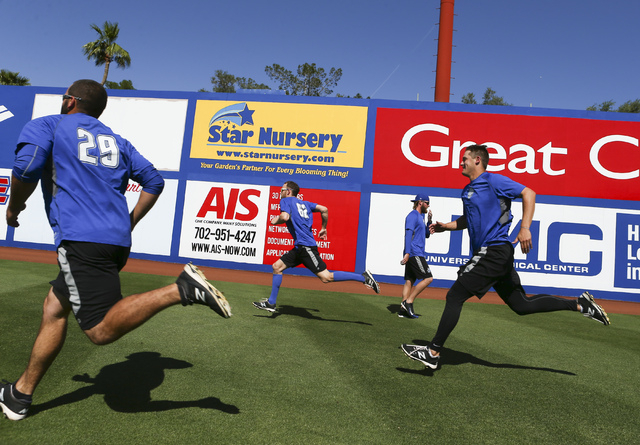 Sewald is one, and so, too, is 51s teammate Chasen Bradford, marking the first time the Las Vegas Triple-A team has featured two local products in the same season. Sewald is 25 and attended Bishop Gorman High and in 2006 was part of a team that beat Silverado for the state championship, a Skyhawks side that included Bradford. It’s something Sewald never lets his teammate forget. Things just don’t work out this way, where two guys who played on a travel ball team together before reaching high school pitch out of the same bullpen so many years later, having been drafted by the New York Mets a year apart and now sit one step from the call both have dreamed about since their first long toss. This can be a good and bad problem, given the Mets are a season removed from losing in the World Series and should contend for another run in 2016, their bullpen again proving to be a major strength. 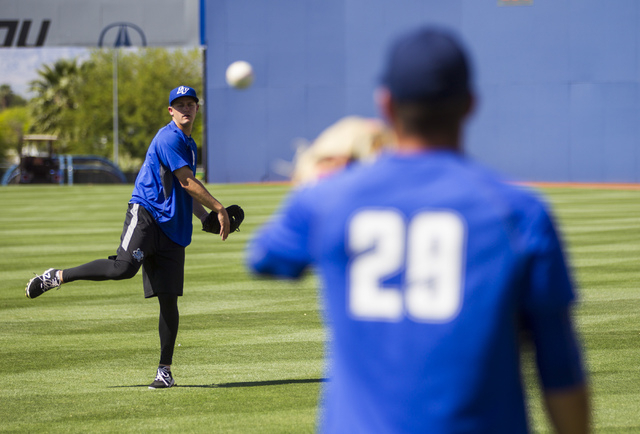 “That’s a tough squad to crack,” said Bradford, 26 and in his third season with the 51s, offering a 1.06 ERA through 35 games this season. “My job is to help this team win a championship here, and if I get the chance to go up, I’ll be more than thankful. If I don’t do my job here, I don’t deserve to go up. You can’t control a lot of aspects about the game, but you can control how hard you work. “It’s amazing to see all the guys from Las Vegas in the majors now or close to making it. I was excited when (Sewald) got drafted by the Mets. He’s the guy you want as a teammate. There are guys who are great players but not necessarily great teammates. Paul is both. A great kid, a great pitcher. He speaks how you would expect a player who was tutored in high school by Brian Whitaker, who this season won his 500th career game at Silverado and whose program sets the standard throughout Nevada (and, really, anywhere) for how the game should be played. Before he arrived at Silverado, Bradford played on a travel team called the Diamond Dogs, when the number of club teams in Las Vegas was reasonable and featured only those kids who were good enough to compete at an elite age-group level. Meaning, nothing like today’s over-crowded club world of baseball and softball and soccer and volleyball and on and on. Bradford and Sewald were teammates back then, along with a kid named Bryan Harper, now pitching for the Harrisburg Senators, the Double-A affiliate of the Washington Nationals. Harper’s younger brother — a certain outfielder in Washington who wants to make the game fun again and yet has this bad habit of yelling at umpires when he shouldn’t — would sometimes tag along to practice. “Bryce was like 9 years old and already hitting massive home runs,” said Sewald, who went on to play with now Chicago Cubs star Bryant at the University of San Diego. “We figured he was going to be pretty good, but did I know he was going to be the best player in the world? Maybe not that. “I also knew (Bryant) was going to be great forever. I’ve known Kris since he was 5 years old and then played against and with him. Those two guys have unbelievable talent. Now, everyone in baseball is getting to see what type of incredible players Las Vegas can produce. Sewald is the 51s closer and has done a terrific job early in his first Triple-A season, knowing full well the Mets have a guy (Jeurys Familia) who has 55 saves in the past two-plus years. So they work and they wait, Sewald and Bradford, two locals pitching before family and friends on a nightly basis, understanding that while they are Mets today, each outing allows them to audition for 29 other teams. And they agree that when the call comes for each of them, one thing is absolutely certain to occur: Their moms will cry.